Cornelis W. Hagen is associate professor at Delft University of Technology. His area of research is microscopy and lithography with charged particles. He is involved in the development of novel electron and ion sources, and his main interest, at present, is focused electron-beam-induced processing (FEBIP) and resist-based electron beam lithography for the fabrication of structures with sizes between 1 and 20 nm. He is co-author of over 60 papers in peer-reviewed journals and conference proceedings, a book on electron-beam-induced nanometer-scale deposition, and a patent. From 2000-2003 he served as a member of the EuroFE coordination committee, an ESF network committee. 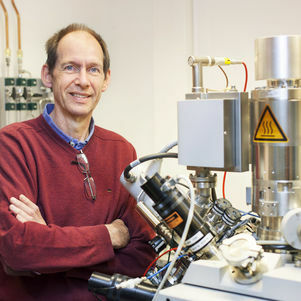 In 2006 he organised the first International Workshop on Electron-Beam-Induced Deposition in Delft, The Netherlands, and he is chairman of the International Steering Committee of the FEPIP workshops.